Canyon Rim Children’s Center is celebrating 20 years of service to the children of San Diego County. 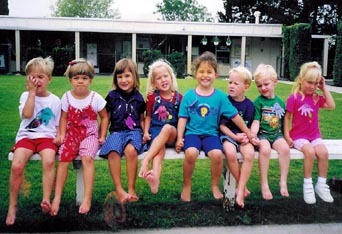 Canyon Rim Children’s Center opened in September 1998 with eight enrolled students. Since that time the center has provided a full-time enrichment preschool program to over 850 families and more than 1000 children between the ages of two years and six years. Canyon Rim Children’s Center is located in a residential neighborhood known as Allied Gardens in the eastern Navajo community of San Diego, California. 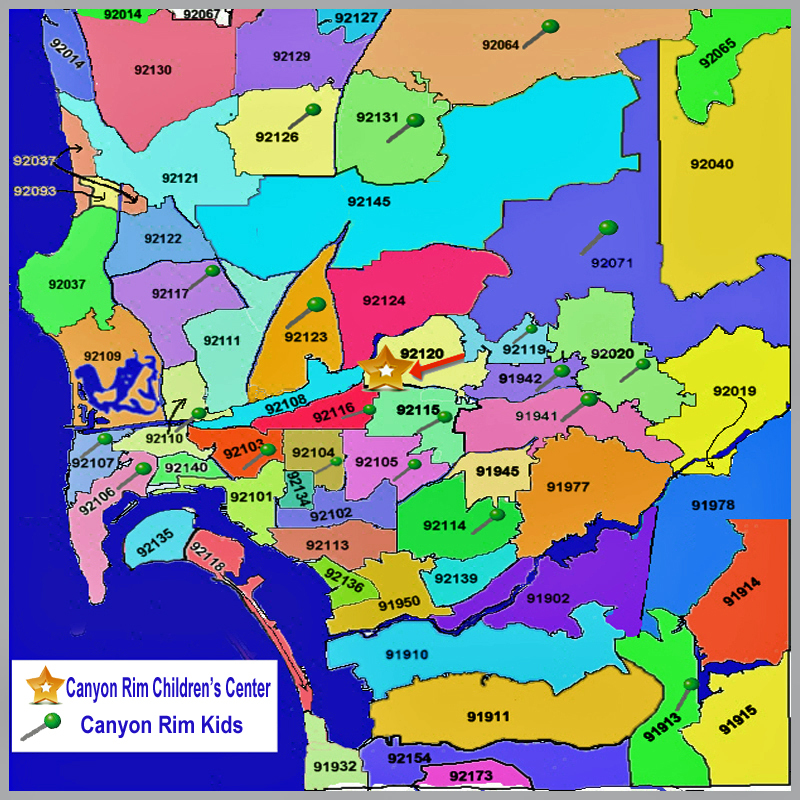 The primary service area for Canyon Rim Children’s Center is from San Carlos to the east, Del Cerro to the north, the SDSU College Area to the southeast and Grantville to the southwest. As one might expect most of the “Canyon Rim Kids” come from homes that are in the Allied Gardens and Del Cerro neighborhoods. Though over 50% of these enrollees have been from the 92120 and the 91119 zip codes the rest have come to Canyon Rim Children’s Center from neighborhoods throughout San Diego County.The administration and faculty of the center take pride in the fact that the reputation of the Canyon Rim preschool program has drawn families from as far west as Ocean Beach, as far east as Alpine, as far north as Poway and Mira Mesa and as far south as Chula Vista.